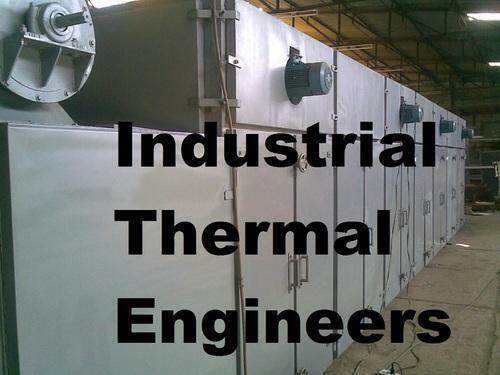 Established in the year 1978, we, “Industrial Thermal Engineers,” are actively engaged in manufacturing, supplying and exporting a broad array of high quality Wood Drying Systems. In our product range we are offering Wood Heat Treatment, Wood Seasoning Machines & Dryers and Wood Dryers Chambers. These offered assortment are designed by taking high grade components as per the well defined industry norms. Our offered ranges of systems are broadly demanded among the clients for their unique attributes. To cater the demands and needs of our clients in a best possible way, we are offering these products as per the client specific requirements at nominal market price range. We are backed with the state-of-the-art infrastructural setup for manufacturing our offered range of systems. We have hired a team of highly skilled professionals, who are carefully appointed by keeping in mind their skills and knowledge in their respective domains. Moreover, we are backed by a team of hard-working and dedicated professionals, who always put their sincere effort towards the growth of our organization. Under the valuable leadership of our mentor, “Mr. Jitendra Mehta”, we have been able to fulfill the increasing and ever-changing requirements of our clients in a most resourceful manner. His vast industry knowledge and sharp business intelligence helped us to be a leading organization of the industry. We are manufacturing quality range of machinery have wide application area that includes wooden packaging material, wooden pallets, decorative laminates, industrial laminates, plywood, Oil Heater, Oil Cooler many others. Providing Quality assured products is the important aim and focus of our organization. With the help of knowledgeable experts, we check the quality of the offered products. As a quality oriented organization, we are manufacturing all the offered products as per the industry laid standards. We have developed a huge client base with the help of our quality approved products. Customer Satisfaction is our Ultimate goal. To offer machinery and services that perfectly match with the needs of the clients we are laying immense emphasis on the customization provision. This facility has always proved to be highly beneficial for both the parties that include clients and the company. We constantly communicate with the respective clients and acquire all the essential details that are required for offering machinery that are customer specific. With the help of customization facility we have successfully managed to broaden our client base. Ø Anuradha Saw Mills - Hyderabad, A.P. Ø Deepa Timber – Trichinapally, T.N. 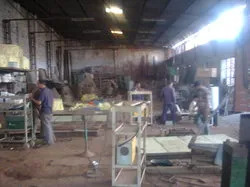 Ø Excellent Pallets and Packaging P Ltd. – Visakhapatanam – A.P. 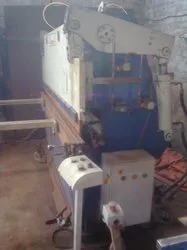 Ø Goyal Timbertech P Ltd. - Hyderabad, A.P. Ø Indian Timber P Ltd. – Hyderabad, A.P. Inclusive of skilled and semi-skilled workers, production managers, quality controllers, warehousing professionals, packaging agents and other supporting staff, we work to gain maximum customer satisfaction in a best possible manner. Their eye for regular innovation has enabled us in meeting to the precise demands and needs of our valuable customers. Moreover, we provide training to our professionals to enhance and polish their skills to keep aware them with the ongoing market trends and developments. Our quality controllers assure to the customers that the premium quality are provided to our customers. Our organization is supported with the advance infrastructure, well equipped with innovative tools and technology. We offer a quality tested and genuine range of products. Our team of quality experts ensures that each and every machine offered by us is manufactured from superior quality raw material to as per the international quality standards. Furthermore, our infrastructure is segregated into several specialized departments such as quality testing, manufacturing unit, sales & marketing that help us in timely delivery of provided products. By providing our customers with an unmatched quality wood drying systems, we always believe in making a long-term relationship with our respected customers. Our wide distribution network helped us in delivering the offered range of wood drying systems at the customers’ end within the promised frame of time. We offer our customers different options of payment such as cash, online, DD and credit card.